The position is non-tenure track and paid out of a federal grant. Continued employment is contingent on the availability of grant funding. The grant period ends on December 31, 2019, but is expected to be renewed. Applicants may be eligible for a Lecturer or Senior Lecturer position, dependent upon qualifications. We need coverage in the areas of Civil Procedure, Corporations, Employee Benefits, Estates & Trusts, Income Taxation, Legal Research and Writing, and Property. Candidates must have law school teaching experience. It is contemplated that the successful candidates will be current full-time faculty members at ABA-approved law schools, although others with extraordinary credentials may be considered. 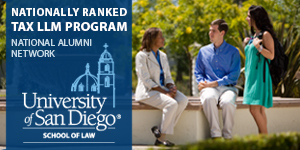 Pepperdine University School of Law is seeking to hire one or more visiting professors for the fall 2019 semester and/or the spring 2020 semester. Applications will be accepted and reviewed on a rolling basis depending on curricular needs. Possible areas of need include Civil Procedure, Contracts, Criminal Law, Property, Torts, Community Property, Copyright. Corporations, Evidence, Federal Income Tax, and Wills & Trusts. The School of Law is an ABA accredited, AALS member law school located in Malibu, California. Pepperdine is a Christian university committed to the highest standards of academic excellence and Christian values, where students are strengthened for lives of purpose, service, and leadership. The School of Law welcomes applications from people of all faiths and is particularly interested in receiving applications from candidates who may bring greater racial, ethnic, and gender diversity to the faculty. The Professorship of Taxation Law provides an excellent opportunity for an enthusiastic candidate with outstanding intellectual leadership skills to consolidate and enhance Oxford's reputation as a centre for excellence in research and teaching in tax law. As well as offering tax courses as part of its undergraduate and postgraduate degrees, Oxford is home to the part-time MSc in Taxation, launched in 2016, which is taught jointly with colleagues at the Centre for Business Taxation in the Said Business School, so this is a particularly exciting time to join the tax community in the university. 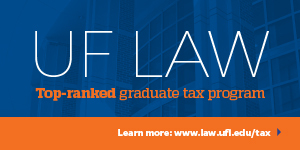 The University of Florida Levin College of Law seeks applications from nationally recognized scholars in taxation to fill one or two endowed chairs in taxation. We are particularly interested in candidates whose scholarship focuses on tax procedure (civil, criminal or both), employee benefits and executive compensation, state and local taxation, or tax-exempt institutions. Gonzaga University School of Law seeks applicants for a three-quarter-time Lecturer in its Federal Tax Clinic, with flexibility to serve in other areas as needed by the clinical program. This position is dependent on a Low Income Taxpayer Clinic (LITC) grant awarded from the IRS. Gonzaga Law School has been receiving the LITC grant for over 15 years. The teaching responsibilities of this 12-month-position include the supervision of students in all aspects of client representation, case selection, and client communication along with some administrative duties related to managing cases and record keeping associated with grants. This grant dependent position is a year-to-year, non-tenure track position. Villanova is seeking to fill a faculty position and is in the process of a national search for a new Director of the Graduate Tax Program. The Graduate Tax Program is jointly run by the Law School and School of Business, and offers a Masters of Laws for lawyers and Masters in Tax for accountants. The program is innovative and includes an extensive suite of online classes and classes on the ground. Villanova is looking for an experienced practitioner with teaching experience and management skills. Our Sheller Center for Social Justice has an opening for a clinician who will establish and run a clinic. There is no subject matter limitation for the clinics that form a part of the Center and the search is simply for someone interested in establishing and running a clinic (either live client or systemic advocacy) at the Center; the precise nature of the clinic will depend on the interests and expertise of the individual selected. The selection Committee is interested in considering individuals who might want to establish an Low Income Taxpayer Clinic, so we'd like to circulate the ad for the position as widely as possible within the tax community. St. Thomas University School of Law seeks to fill entry-level tenure-track or, lateral tenure-track,-position(s) beginning in Fall 2019 in the areas of: Contracts, Business Associations, Tax Law, Criminal Law & Procedure, Evidence, Health Law, Tax Clinic, Academic Support and Bar Prep. Other doctrinal areas may be considered depending on the institutional needs. All applicants must have a strong academic record and be committed to outstanding teaching, scholarship and service. Prior teaching experience preferred. We are interested in outstanding candidates in all fields, including civil procedure, constitutional law, labor law, tax law, business law and regulation, antitrust, and torts. Applicants should have a strong academic record and demonstrated commitment to scholarly activity and publication. We are interested in both entry-level and lateral candidates, and we are especially interested in candidates who will enhance the diversity of our faculty. Entry-level and lateral candidates should apply via the Faculty Appointments Register or by email to Professor Minor Myers, Chair, Faculty Appointments Subcommittee. Position: The Legal Services Center (LSC) of Harvard Law School has an immediate opening for a Clinical Instructor. The position, which is available either as a full-time position or a part-time position, is within the Estate Planning Project of the Veterans Legal Clinic. The Estate Planning Project—through which Harvard Law students also receive hands-on training in lawyering skills—provides free legal representation to low-income disabled veterans on matters such as wills, powers of attorneys, healthcare proxies, living wills, trusts, special needs trusts, guardianships, conservatorships, and probate of estates. The goal of the Project’s representation is to help each veteran attain the maximum degree of control over financial, health, and family decision making. Many of the Project’s clients have multiple service-connected disabilities and/or face chronic or terminal illnesses. We may consider applications from persons who specialize in other areas as additional needs arise. Applicants should have superior academic credentials and publications or promise of productivity in legal scholarship, as well as a commitment to outstanding teaching. The Paul M. Hebert Law Center of LSU is an Equal Opportunity/Equal Access Employer and is committed to building a culturally diverse faculty. We particularly welcome and encourage applications from female and minority candidates. While the primary focus of this search is for an entry-level tenure-track appointment at the rank of Assistant Professor, a tenured appointment at the rank of Associate Professor may be considered for a truly outstanding candidate. The Faculty welcomes applicants in all areas of legal study. Without limiting the call for applications, the Faculty signals a special interest in receiving applications in the areas of aboriginal and indigenous law, intellectual property law (particularly patent law), private law, labour and employment law, tax law, legal ethics and professionalism, international economic law, land use planning and land transactions, and public and constitutional law. Concordia University School of Law is seeking candidates for full-time Visiting Assistant Professor positions either for the Fall 2018 semester or the 2018-2019 academic year. The School of Law anticipates that the visitor(s) will teach up to two courses each semester and may teach in one or more of the following areas: taxation, wills, trusts and estates, criminal law, criminal procedure, evidence or in the clinical programs. Visiting faculty provide instruction to law students, and may, based upon their interests and experience, provide service to the law school and University and engage with other professionals and the public to contribute to the intellectual exchange of ideas, to improve the law, and to educate the profession about the law. This position is a full time, tenure or tenure-track position. 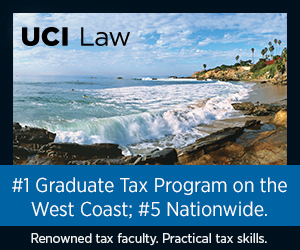 Our LLM in Taxation has provided 40 years of instruction and has 1,600 plus alumni and is consistently ranked as the best LLM in Taxation in California. We are also proud of our newest LLM in Estate Planning which started in 2015 and is the first LLM in Estate Planning west of the Mississippi River. We welcome the opportunity to work with a director to help shape these programs to best meet the needs of lawyers seeking to enhance their learning and training in these specialty areas. California Western School of Law (CWSL) is seeking applications from entry-level and junior-lateral candidates for a tenure-track position to begin on or about August 1, 2018. We are looking for candidates with strong academic backgrounds, a commitment to excellence in teaching, and demonstrated potential to be productive scholars. The Appointments Committee is particularly interested in candidates with a strong desire to teach civil procedure, family law, immigration law, tax, or trusts/estates. CWSL welcomes applications from individuals who would contribute to the vibrancy and diversity of our faculty. The University of Missouri School of Law in Columbia, Missouri seeks to hire a visiting professor to teach Corporate Tax and Tax Planning in Spring 2018. The University of California, Berkeley, School of Law, invites applications from entry-level and lateral candidates for full-time, tenured and tenure-track faculty positions with an expected start date of July 1, 2018. We welcome applications from candidates across all areas of law, although subject areas of particular interest include business law; civil procedure; comparative and international law; contracts; criminal law and criminal procedure; evidence; property; tax; and torts. Stetson University College of Law invites applications for a full-time tenured or tenure-track faculty position for a dedicated teacher/scholar specializing in tax law. While we are particularly interested in receiving applications from experienced lateral candidates, we will consider hiring at all levels, with or without tenure. The University of Pittsburgh School of Law invites applications for a tenure-stream position, beginning in the 2018-2019 academic year, to teach courses in the tax area. The successful candidate will become an integral part of Pitt Law’s tax program, which includes a Tax Law Concentration, a Low-Income Taxpayer Clinic, and the peer-reviewed Pittsburgh Tax Review. We anticipate hiring for this position at the rank of assistant, associate, or full professor, depending on the candidate’s qualifications. We strongly encourage applications from lateral candidates at all levels. Villanova University Charles Widger School of Law seeks an outstanding lawyer-educator to direct and teach its nationally regarded Federal Tax Clinic. The Clinic represents low-income taxpayers in controversies with the IRS. The Director oversees students working in teams on examinations, administrative appeals, collection matters, and cases before the United States Tax Court, Federal District Courts and Appeals, as well as on comments projects relating to guidance issued by the IRS or Treasury. The Director will be either a full-time continuing non-tenure track (governed by ABA Standard 405(c)), tenure-track, or tenured member of the faculty, depending on the qualifications and aspirations of the successful candidate. George Washington seeks to hire a Tax Prof with 0-2 years of experience. For more information or to apply, email Faculty Appointments Committee Chair Catherine Ross or Faculty Appointments Committee Member (and Tax Prof) Karen Brown. Both lateral and entry-level candidates are welcome to apply. Although all subject areas will be considered, we are especially interested in candidates interested in teaching tax courses. Applicants must possess a J.D. or equivalent degree and have strong academic credentials. We are especially committed to a diverse faculty, staff, and student body. Applications from women, minorities, persons with disabilities, and others whose background, experience, and viewpoints contribute to the diversity of our institution are encouraged. Creighton University School of Law seeks applications from qualified persons for a visiting professor position in the areas of Trusts & Estates and, ideally, Tax for the 2017-2018 academic year. A J.D. degree is required and teaching experience is strongly preferred. Applications should be directed to Associate Dean David P. Weber. We will begin reviewing applications immediately. Please share this information with any qualified individuals whom you think may be interested. Duties & Responsibilities: The Legal Services Center of Harvard Law School (LSC) seeks to hire a Clinical Fellow in the Federal Tax Clinic [launched in Fall 2015]. The Clinic — through which Harvard Law students receive hands-on lawyering opportunities — provides direct legal representation in tax controversies to low-income taxpayers. The University proposes to appoint an Associate Professor of Taxation Law. The MSc Taxation is a Law Faculty degree that is organised and taught jointly with the Oxford University Centre for Business Taxation, based in the Saïd Business School (the Tax Centre). The appointed person will teach tax law at graduate level, especially on the part-time MSc in Taxation, and also at undergraduate level, they will engage in research at the highest level and supervise graduate students in the field of Taxation Law and in such other areas of research as may be appropriate. The postholder will have excellent opportunities to engage with the interdisciplinary tax research and policy work at the Tax Centre. The person appointed will be offered a non-tutorial fellowship at Harris Manchester College. The University of Oregon School of Law is seeking to hire a tax visitor for one or two semesters for the 2017-18 academic year. Courses that are likely to be needed are Federal Income Taxation, Business Entity Taxation, and Tax Policy. Oregon is open to considering applicants at all ranks, including VAPs, tenure-track faculty, and tenured faculty. Our specific needs for the Fall 2017 semester include basic income tax and corporate tax. Applicants must possess a J.D. from an ABA-accredited law school, strong academic credentials, and at least three years of relevant law-related experience; prior teaching experience is strongly preferred. Applicants should submit a letter of interest, CV, and the names and contact information of three references through Interfolio. For additional information, please contact Onnig Dombalagian. University of Minnesota Law Clinics, the clinical program of the University of Minnesota Law School, welcomes applicants for a visiting assistant professor position in its Ronald M. Mankoff Tax Clinic. The Tax Clinic is an in-house clinic partially subsidized with a grant from the IRS. The position is a 12-month, full-time position, and the entire position is contingent on funding through the IRS LITC program. The Tax Clinic enrolls twelve students and is a 7-credit course that runs Fall through Spring. Appointment(s) will be at the rank of tenure-track Assistant Professor or Associate Professor, and the expected start date would normally be July 1, 2017. The Professor of Practice will be expected primarily to teach graduate level tax classes to LL.M. and S.J.D. students as part of the College's highly regarded Graduate Tax Program. Applicants for this position should hold a J.D. or LL.B. degree from an accredited law school and have significant legal experience in the field of taxation, with a national or international record of distinction in non-academic achievement, and have demonstrated applied and practical professional experience in taxation. This position will require ongoing professional engagement in taxation, including maintaining professional credentials, and contributions to teaching, research, and service. Salary will be commensurate with qualifications and experience. The Director of the Texas A&M University Low Income Tax Clinic is responsible for all aspects of the Tax Clinic, including client representation, law student supervision, classroom instruction, community outreach and education, and IRS compliance. The Tax Clinic will be part of the Low Income Taxpayer Clinic program of the U.S. Internal Revenue Service. Areas of focus include business law and tax, including Business Associations, Mergers & Acquisitions, Business Planning and Corporate Tax. This is a one-year visiting position with the possibility of a one-year renewal at the end of the contract term based on Law School needs. We are especially interested in candidates with demonstrated interest or experience in Wills and Trusts or Taxation. Qualifications include: a record of academic excellence, substantial academic or practice experience, and a passion for teaching. Appointment rank will be determined commensurate with the candidate’s qualifications and experience. The University of Florida Levin College of Law has announced that Martin J. McMahon, the James J. Freeland Eminent Scholar in Taxation has been appointed to succeed Michael K. Friel as Director of the Graduate Tax Program. Professor Friel stepped down as Director of the Director of the Graduate Tax Program when he retired at the end of the 2016-2017 academic year after serving as the Director for more than 25 years. Emeritus Professor Friel will continue to teach in the Graduate Tax Program as an adjunct professor, as have Lawrence Lokken, Emeritus Hugh Culverhouse Eminent Scholar in Taxation and Emeritus Professors David Hudson and Patricia Dilley. Professor McMahon has been a member of the faculty of the UF Graduate Tax Program since 1997. The position is non-tenure track and paid out of a federal grant beginning no later than January 2017. Continued employment is contingent on availability of grant funding. Qualifications include a record of excellence in academics or practice, successful teaching experience or potential as a teacher, and strong scholarly distinction or promise for tenure track or tenured positions. The College is particularly interested in candidates in the area of tax law. Interested persons should submit an application to the University of Utah Human Resources website. Candidates should have outstanding academic credentials and show superb promise for top-notch scholarship and teaching. The University of Richmond, an equal opportunity employer, is committed to developing a diverse workforce and student body and to supporting an inclusive campus community. Applications from candidates who will contribute to these goals are strongly encouraged. Candidates should have a particular interest in either business law teaching, including business associations and contracts, or transactional clinical teaching in business, taxation, intellectual property, community economic development, or health care that offers students transferable legal skills. SUMMARY Houston College of Law, located in downtown Houston, recently received approval from the IRS to receive a grant to operate a LITC. Beginning with the fall 2016 semester, the LITC will provide direct representation in federal tax controversies to low income taxpayers. Clients assisted by the LITC might need a variety of types of assistance in resolving their federal tax issues with the IRS, including entering into installment agreements, submitting offers in compromise, negotiating with IRS Appeals, requesting Collection Due Process Hearings, and filing petitions and litigating in the United States Tax Court. Funding for this position through the IRS grant currently is available only for the fall 2016 semester. Houston College of Law has applied for grant funds for calendar year 2017 and intends to apply for grant funds for future years. Employment as a Staff Attorney in the LITC following the fall 2016 semester is contingent on grant funding and the law school’s requirements. The School of Law is interested in candidates who are qualified to teach in the areas of taxation and clinical legal education, but will also be considering candidates in a variety of other areas of need. The School of Law is also interested in candidates who can contribute to the diversity of our law school community. The University of Miami School of Law is interested in all persons of high academic achievement and promise, including those who hold Ph.D. degrees. We will consider applications from candidates at any level and with any area of specialization within tax. The successful candidate will become an integral part of Pitt Law’s tax program, which includes a Tax Law Concentration, a Low-Income Taxpayer Clinic, and the peer-reviewed Pittsburgh Tax Review. We anticipate hiring for this position at the rank of assistant or associate professor, depending on the candidate’s qualifications. We encourage applications from entry-level and junior lateral candidates for this position.